London is a vast city with loads of sightseeing opportunities, great accommodations, fine dining, excellent nightlife and much more. 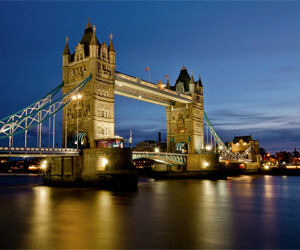 London is the largest and capital city of England as well as United Kingdom. Regarded as one of the prominent global cities in the world, London still remains an international capital of fashion, entertainment, finance, culture and trade. The city also welcomes millions of tourists every year who come to relax and also enjoy a pleasant vacation holiday. If you are looking for an incredible destination to spend your vacation, you should consider visiting London. Most of the airports within the city have close proximity to cozy hotel accommodations and also provide travelers with easy and convenient means of transportation to their desired location. Here is a highlight of some airports used by most travelers when arriving and departing from the city. One of the main international airport in the city and the busiest in the entire United Kingdom is the London Heathrow Airport. Located few kilometers west of Central London, Heathrow Airport features five terminals and two parallel runway. The airport is well equipped with world class facilities including a wide range of restaurants, cafes, shops, comfortable lounges etc. Among the most affordable ways of traveling into town is via the Heathrow Connect, Heathrow Express or London Underground. Remember this, when looking for cheap flights to London. Known as the second busiest airport in the United Kingdom after Heathrow Airport, London Gatwick offers a good number of local and international flights to several destinations in the world. With just two terminals, London Gatwick is home to over 45 airlines including local, international and charter flights. Both terminals feature lounges for business travelers as well as for passengers with kids, bars and pubs, cafés, restaurants and lots more. It’s a more convenient airport to use when leaving or coming into the city. Located 45.7 km from Central London, Gatwick Airport is the second largest airport in London. Keep this in mind, when looking for cheap fligths to United Kingdom. Located 30 miles Northeast of Central London in Stansted Mountfitchet is the London Stansted Airport. Here, you will find a lot of low cost European air carriers that offer flights to over 100 travel destinations. Travelers can enjoy facilities such as lounges, cafes, restaurants, meeting rooms, cash machines, showers and lots more. It is the 3rd largest airport in the city of London with a repeatable mini-cab that conveys travelers on a long hour drive to Central London. Located about 35 miles north of central London, Luton airport is one of the largest airports in London serviced by major airlines including the Ryanair, Monarch, EasyJet and Thompson Airways. The airports offers charter and commercial flights to several European destinations at competitive prices. There’s no time of the year to avoid when planning a vacation trip to London. The best time to visit London and experience the best of open air entertainment is during summer. This is a period to enjoy a lot of classical festivals, sightseeing opportunities and pleasantly warm weathers. If you are a lover of sports, then summer is the best time to take that wonderful trip to London. The cheapest international flights to London(GB) are on Mobissimo, the free travel search engine. In addition to cheap international flights to London(GB), we help you find the best rates to both major and boutique hotels in London(GB). Consider flexible travel dates when looking for the best fares to London(GB), off-season travel or off-peak hours, or mid-week flights are all good options to lower your airline ticket fares. Consider also flying to other international airports in United Kingdom : Aberdeen(GB), Alderney, Benbecula, Belfast, Birmingham(GB), Blackpool, Bournemouth, Biggin Hill, Barra, Bristol, Campbeltown, Cambridge, Chester, Coventry, Cardiff, Dundee, Doncaster, Edinburgh, East Midlands, Eday, Exmouth, Exeter, Fair Isle, Filton, Guernsey, Glasgow(GB), Humberside, Islay, Inverness, Isle of Man, Scilly Isles, Jersey, Kirkwall / Orkney Island, Leeds/Bradford, Londonderry, Lands End, Liverpool, Lerwick, Manchester(GB), Tees Side, Manston, Newcastle(GB), Sanday, Newquay, North Ronaldsway, Norwich, Prestwick, Plymouth, Papa Westray, Penzance, Southend, Southampton, Stronsay, Stornway, Tiree Island, Scilly Tresco, Unst Shetland Islands, Wick, Westray, Lakenheath. Mobissimo is also available on Facebook , Twitter, and other social networks, and our blog post fantastic flights deals to London(GB) daily.